⬅ This is Not Good. Date Night in a Rut ? A husband and wife sharing a special night out together on a regular basis, aka – date night – is a great idea. Setting aside some time from our hectic pace of life, finding a few quiet moments away from the kids, and staying in emotional touch with the love of our life are all noble motives that compels us to make date night a regular event on the calendar. But, are those the true reasons that motivate us? Does our heart truly long to gaze into our lover’s eyes, and get reconnected at a deep emotional level or are there other, more sinister motives hidden in our selfish hearts? 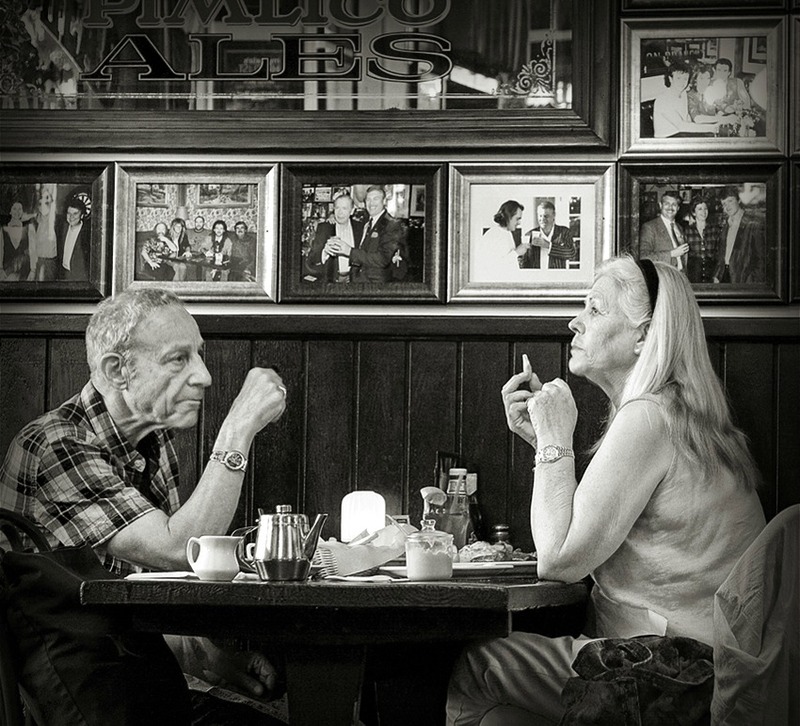 On two separate occasions recently, my wife and I were eating out together and were saddened to watch two couples, one older than we, and one much younger, who ordered their meals, waited for them, ate them and left – all without uttering a word to each other. Really. They spent around 30 minutes “together” in a nice restaurant, and may as well had been alone. No speaking. No engaging. No connection. Was this their “date night”, we asked? What about you? Do you and your wife enjoy regular date nights? Do you truly look forward to them, creatively plan them, and expect nothing from them other than the chance to just hang out and enjoy the woman you fell in love with once upon a time? Do us all a favor – and share a date night tip, or suggestion that can help us break out of the “dinner and a movie” rut. Nothing wrong with that, but let’s share some more engaging ways to connect. Why is date night important to you? This is your chance to coach, inspire and challenge the rest of us. Ladies – PLEASE share your thoughts too about what YOU enjoy, and/or would like to do on date night. No movies at least not out #1 $10 “really” and #2 I can’t talk to my wife…I thought that was the point of the date. We try to go do things; hike, go for a walk, go to the gym something physical that gets the blood flowing which is good for now and later. Doing activities together brings you together, shared activities and experiences create shared memories. Watching a movie together creates well, not much of anything other than maybe a shallow topic for conversation on the way home. If you want to create intimacy you have to share time and experiences together and that will lead to the other intimacy that we BOTH need. We really like Dr. Harley’s advice in his book “His Needs, Her Needs” to spend at least 15 hours per week in exclusive one-on-one time together. Our date night once per week is just a part of the daily intimacy we share. Makes date night and everything else much better! Heading to the perfume shop at the mall tonight. Get to see what each other’s fragrance preference is as well as getting in some exercise walking through the mall. We have three children: 13,4, 3 months. We don’t get much time and usually multitask by going shopping. We often go to the farmers market, book store, or wal-mart. We just wonder around and talk about all the things we wish we could buy, or what we’ll do after our children are much older. It is more engaging and healthier than just eating! One of my favorite dates with my husband was on our 7th anniversary we went to sonic. Then just drove around for 3-4 hours taking the scenic route. Crossed the county line 7 different times taking different roads. Was the best time.